I just have my preconceived biases every now and then. Please learn to tell them apart from my opinions and the facts okay? 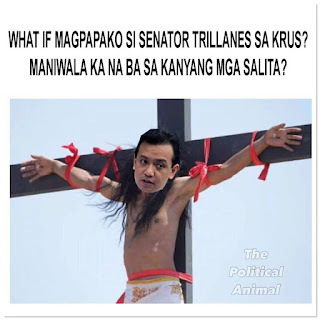 So here goes nothing with some stupid imaginations I've had as of recent. Even before seeing Kamen Rider EX-AID, I'm already thinking that I may like this show better than Zyuohger. 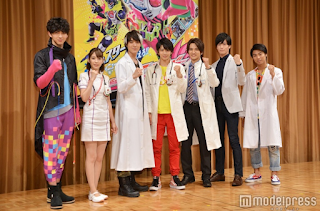 The plot is interesting with a doctor as a Kamen Rider, with somebody who looks after the health of the public and I'm really thinking this might feel more "mature" than Zyuohger's fun series. It's too early for me to say it. I may find the suits cartoony and kiddie but the story's interesting. I'm even thinking that Super Sentai and Power Rangers are going to get kicked lower this time with Kamen Rider EX-AID. This is a very mixed comment from me. Again, since when did I not point out the weaknesses of just EVERYTHING? 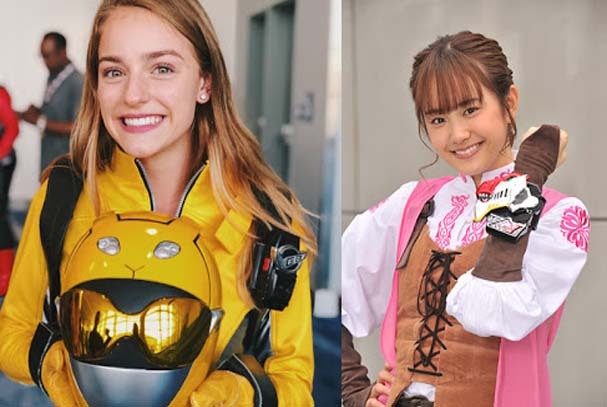 One, I'm not really a Power Rangers fan and I usually end up thinking Super Sentai is way better though both shows have their strengths and weaknesses. So what stupid ideas do I have? Aside from me thinking that Ninja Steel may fail before it started (talk about stupid), I'm thinking about the pink ranger herself. I think she may be a good Kimberly successor but she may not be as good as Mako.